Lucky 13: Don’t miss out on this season! 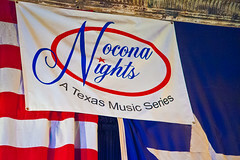 We’re excited to announce the music lineup for 2015-2016 Nocona Nights Music Series, our 13th year of highly acclaimed dinner concerts. 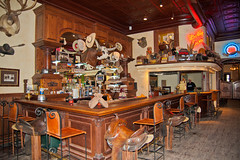 For this season we’ve also added several special events. We’ll open the season with a special “Thank You, Patrons” House Concert Oct. 15 featuring The Rifters at The V, Nocona VFW. 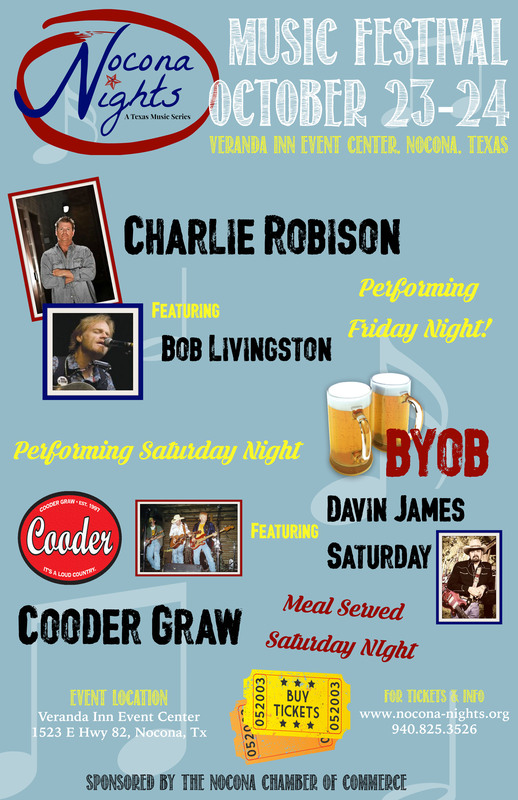 Because last year’s two-day Nocona Nights’ Music Festival was such a success, we’ve scheduled it again featuring Bob Livingston, Charlie Robison, Davin James, and Cooder Graw. Justin Frizzell’s Texas Red Dirt Radio Show comes to The Veranda Event Center on Nov. 15. 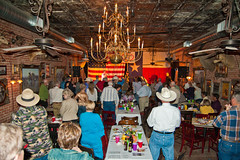 Tommy Alverson, Max Stalling, and Matt Hillyer will share their songs and stories. The show will be broadcast live on 95.9 The Ranch. 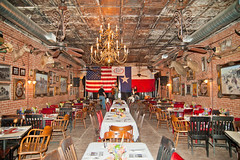 Cowboy Glam will be the dress as Gary P. Nunn will return for this year’s Cowboy Christmas Ball Dec. 12. Prices of season packages remain the same as last year. First priority will be given to last year’s patrons. Any extra tickets will then be offered to patrons who want to buy tickets for guests. Patrons will have until Aug 15 to contact Nell Ann McBroom, Nocona Chamber of Commerce, and confirm their season package. New patron season packages will be offered after Aug.15 on a first-come-first-served basis if there are any available. All in all, it’s a season you don’t want to miss! 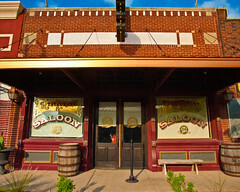 ***Nocona Nights is a BYOB venue.